In May 2018, Genesis Casino was launched into space by Genesis Global Limited, which successfully launched the online casinos Spinit, Sloty, Casino Cruise and Vegas Hero. Genesis Casino looks great, with purple and dark colors and a challenging space theme. Go on a journey with Genesis and discover a whole universe of bonuses, casino games and much more. An absolutely beautiful appearance, with a beautiful and consistently executed space / discovery theme. Genesis Casino has a lot to offer, but there are also some points for improvement. We tell you all about it in this review of Genesis Casino. The game selection of Genesis Casino is of good quality, but it falls short in the area of ​​quantity. You play casino games from Netent, Nextgen, Thunderkick and Elk Studios. Good providers, but we would have liked to see a bit more. Suppose you could also play Quickspin and / or Play’n GO games, it would rise from an excellent offer to a top offer. Yet boredom is not necessary: ​​you still have a choice of around 300 excellent casino games such as Fruit Warp , Gonzo’s Quest, Luchadora and Finn and the Swirly Spider . Do you have nothing to do with slots (you’re not alone!) And do you prefer to play table games? Genesis Casino has also thought of you. Choose Choose dozens of automated versions of Roulette, Baccarat and of course Blackjack. Apply your favorite Roulette system or try to get the house advantage to almost 0% with the optimal Blackjack strategy . The live casino games are provided by Netent Live. Unfortunately no Dream Catcher or Lightning Roulette, but: live Blackjack, Live Roulette and Rocket Roulette. A striking Blackjack variant is Netent’s Live Common Draw Blackjack, where you play the same card against the dealer with several players at the same time. The big advantage of this variant? There is always a place available. 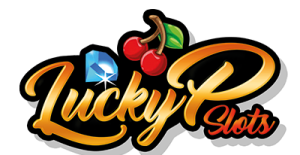 What is an online casino without the much-loved progressive jackpot slots? Indeed, a half-baked online casino. Genesis Casino is also a great place for the millionaires in the game. You will find various slots that can make you enormously rich with one mouse click. Popular slots with names like Hall of Gods , Divine Fortune and of course Mega Fortune . What is the welcome bonus from Genesis Casino? The welcome package of bonuses is impressive and consists of 4 parts. In total you can drag up to € 1,000 in deposit bonuses. And to top it all off, you also get 300 free spins on Starburst. Now such a large package of bonuses is of course very nice, but it is also important to look carefully at the bonus conditions. Because what do you have of a bonus if there are impossible playing conditions attached to it? Or if you can only withdraw the deposit up to 2 or 3 times? Do you have, despite these fine rules, no sense in all those annoying conditions, do not forget that you can just refuse a bonus. The question of whether Genesis Casino is reliable is still difficult to answer. The casino was founded in early 2018 and it is therefore too early to say that it is a reliable casino. However, we can predict with some certainty that Genesis Casino will be a reliable online casino. They operate under casino licenses from Malta and the United Kingdom. These are two license providers that not only impose strict requirements on parties that apply for a license, but also maintain strict supervision. The UK Gambling Commission, in particular, behaves regularly as a particularly strict watchdog and does not shy away from imposing millions of penalties on online casinos and shows that they have not kept to the rules. For players, this is good news: an online casino with a license from the United Kingdom knows that they are strictly followed and that there will be consequences if they make a game of it. Finally, the owner of Genesis Casino has been operating several respected online casinos for a number of years, including Vegas Hero and Sloty . These are gambling sites with an excellent reputation and they have worked hard to achieve that. Conclusion: we have every confidence in Genesis Casino, but we also advise you to take a bit of caution.